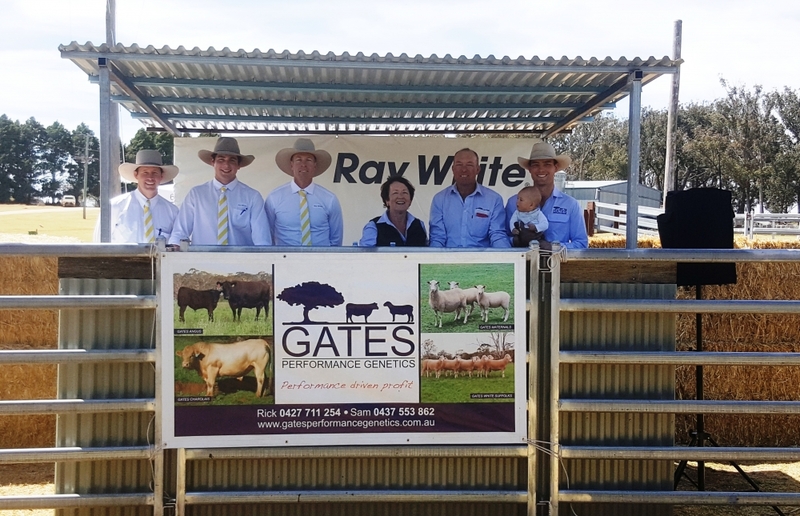 On Tuesday 12 September, Gates Performance Genetics offered 24 two year old bulls and 25 yearling bulls at our inaugural on property Gates Angus bull sale. The sale was conducted by the award winning Ray White Livestock Guyra/Armidale team and we would like to commend them on a smooth running sale and broad network of clientele. 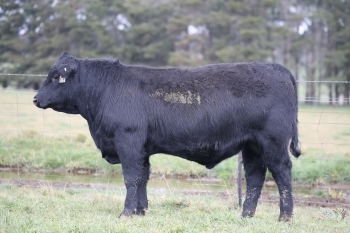 The bulls on offer represented a breeding philosophy based around a solid foundation of female fertility being the number one profit driver for breeding herds. Followed by sound structured, easy doing, functional females that can perform in tough environments but then have progeny going on to perform for growth and carcass traits in feedlots or off grass. Our program has combined the higher marbling and carcass genetics into an earlier maturing package. This has enabled our clients to consistently achieve awards at weaner sales through to finishing progeny to kill weights, enabling high percentage MSA grading and abattoir performance. Several of the top yearling bulls had a heavy grain index of 190 - 195 placing them in the top 1% for all indexes. The top 1% of the Angus breed is categorised by bulls over 170 for long fed index. We were pleased to meet new buyers and welcome back repeat customers with an even split of bulls going to these client groups. Some of the prominent AI sire lines included Ayrvale Bartel E7, Te Mania Garth, Deer Valley All In and Te Mania Emperor. Representing some industry leading genetics. The two year old bulls included some great home bred sired bulls by Gates Jackpot J36 selling to a top of $12,000 to Ken & Jennifer Baker at Murwillumbah. The bulls had extra volume, muscling and a stack of early growth. ASRL94 went to Murwillumbah to suit a highly productive vealer enterprise on the Tweed River. Two bulls returned into stud duties. 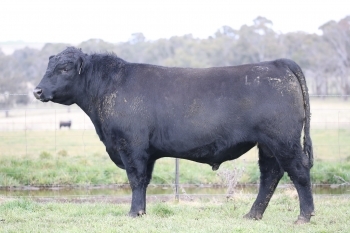 With Dulverton Angus of Glen Innes purchasing Lot 34 - Gates Bartel M34 for $12,000. M34 had a smooth high muscling phenotype, sound structural package backed by a great maternal line with a previous bull from the C8 cow already retained in the Gates stud and performing outstandingly in the Angus Sire Benchmarking Program. 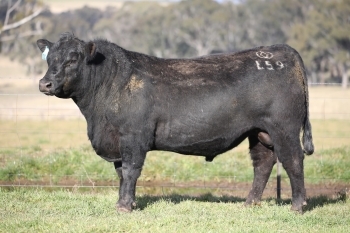 Lot 7 - Gates All In L59 was purchased by Bridgewater Angus at Guyra. L59 was below breed average for birthweight and in the top 2% for 600 DWT, top 1% Domestic Index and top 5% Heavy Grain Index. The sale topped twice at $15,000 with a Te Mania Garth son Gates Garth L43 selling to Bruce and Julie Schwartz of Dorrigo. The bull was used to back up stud cows as a yearling, expressed great skin type, impeccable temperament, volume and softness. Bruce and Julie purchased a second yearling bull, Gates Prophet M39 for $11,000 to average $13,000 for their draft of bulls. Gates Bartel L79 was purchased by Forster & Sons for $15,000. This bull was also used to back up Gates AI program as a yearling. L79 is a medium framed bull with great eye appeal and structure. Many times comments were made about the bulls floorless temperament and slick hair type. It was a hard decision to let the bull leave the stud due to his outstanding combination of EBVs and phenotype. L79 was in the top 1% for all indexes and his dam is an outstanding donor cow within the program. Gates Genetics have increased their embryo transfer program for 2017 with some outstanding genetics to follow from these commitments. 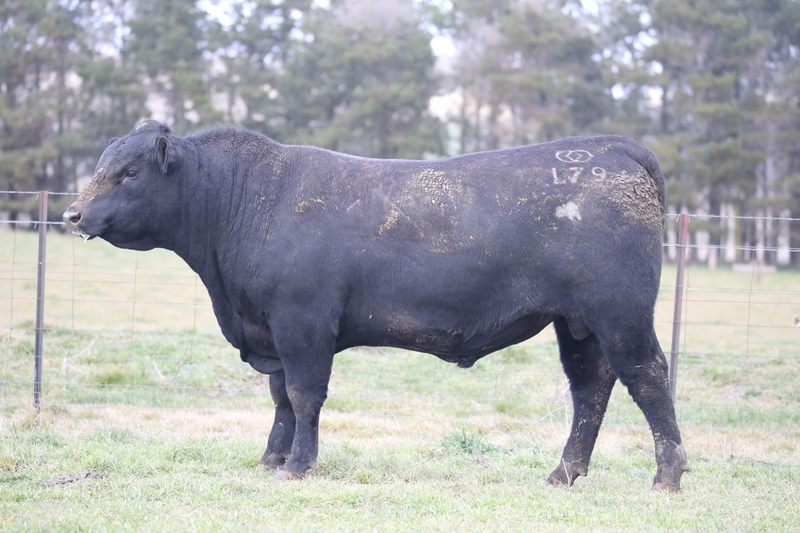 Forster & Sons purchased another three bulls to make a draft of four bulls averaging $11,000. There were bulls for all budgets with the majority ranging from $4,000 - $10,000. Rick, Julie and Sam were pleased with the sale result of 100% clearance with the two year old bulls averaging $8041, the yearling bulls averaging $7560 and a combined average of $7795. Sale attendees provided great feedback comments about the temperament, handling, facilities and complimentary lunch provided on the day. Gates Performance Genetics welcome conversations about our breeding program, purchases and production systems anytime. Our mailing list will have information and invites to field days we are running throughout the year. We’re always interested to hear your feedback! Let us know here.